Conveniently located in Downtown Inglewood, CA, Shabazz Bakery continues the proud tradition of creating delicious Honey Bean Pies, Pineapple Cheesecake, Blueberry Cheesecake, Carrot Pie, and our wonderful Lemon Pie. 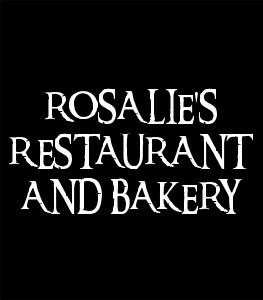 Whether it is dessert you're after, or the health conscious, hearty fare offered by Rosalie's Restaurant, we are pleased to offer a wonderful dining experience as well as crisp and efficient take-out service. Shabazz Bakery does not, and never will, bake its delicious desserts using processed white flour, sugar, or unnatural preservatives, preferring the use of honey and beet sugars to maintain the healthy standards our customers have come to expect. Who says dessert can't be good for you and great tasting at the same time?